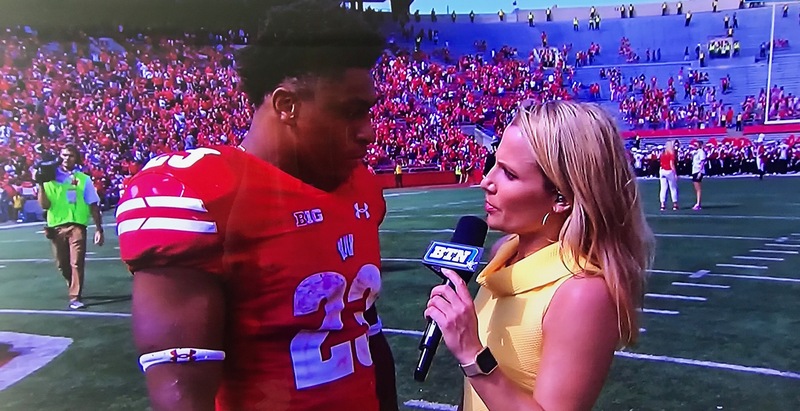 That’s how Jonathan Taylor made his Badger running backs coach feel, and the Wisconsin freshman tailback proved John Settle right. In his first career start, Taylor rushed for 223 yards for the game. He broke 100 after his first six carries for the day. Paul Chryst told us he thinks Taylor might be the best back they have on their roster right now. The Wisconsin coaching staff saw that development in the preseason. “We had two scrimmages and it didn’t matter if he was on the first-team or second, he was beating everyone,” Settle said. FAU may be in Wisconsin for a while. Palm Beach International airport was shutdown on Saturday, so traveling after the game wasn’t an option. The Owls were planning on being in Madison on Sunday, with the possibility of staying through Monday or Tuesday. FAU Athletics Director Pat Chun said Wisconsin has been exceptionally accommodating. “‘Our house is your house,’ was the message Barry Alvarez told us,” Chun said. Training table options, sports medicine needs, grief counseling, and practice facility arrangements were some of the amenities made available by Wisconsin. The Badgers are even doing the Owl’s laundry. “Everyone in Madison has been exactly what you imagined,” Chun said. Meanwhile throughout gameday, Dr. John Kelly, FAU’s university president, was giving Chun real-time updates from Florida. He was the only university employee left on campus. According to Chun, all 33,000 students had been evacuated by Saturday. Dr. Kelly wanted to be able to monitor the situation from Boca Raton. FAU traveled 87 players, more than what could be dressed on the sideline. Those extra players were given seats in the stands. All the coaches and support staff had their families with them. But the travel was not easy. The team plane was delayed slightly before takeoff on Friday. It took nearly 40 hours for the football equipment truck to travel from Boca Raton to Madison, and almost 12 of those hours were spent just getting out of the state of Florida. It could be an even longer trip back. They both smiled from ear-to-ear when they saw each other Saturday on the field. 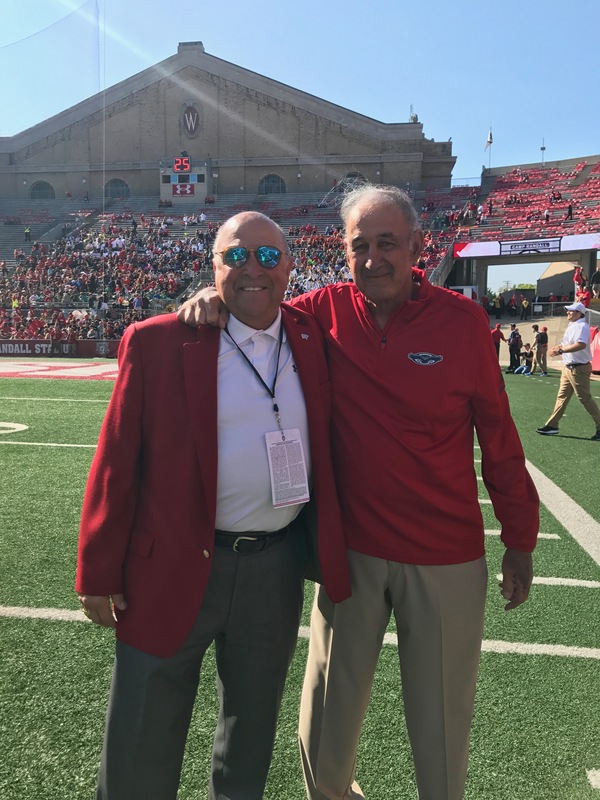 Monte Kiffin and Barry Alvarez go way back….like to Nebraska…. way back. Alvarez was a Husker player and Kiffin was a Husker graduate assistant. By the time Kiffin became Nebraska’s defensive coordinator, Alvarez became a Nebraska graduate assistant. And all those wins and championships that came later in Madison? It had to start somewhere. That somewhere was at the high school level. Alvarez’s first coaching job was in Kiffin’s hometown of Lexington, Nebraska. In fact, Monte Kiffin helped him get that first head coaching gig at Lexington High.